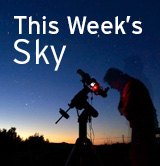 In this section the RASC Observing Committee will highlight upcoming events and document tips and techniques to help you observe these events and potentially make valuable scientific observations. For lunar observers, the View the Moon Across Time project (originated as part of RASC's sesquicentennial in 2018) will be of particular interest. In the summer of 2018, the Opposition of Mars captured everyone's imagination, as it did during the previous perihelic opposition in 2003. Follow the link for more information. The June 8, 2012 Transit of Venus was the second and final transit in the 21st century. This section, with its wealth of historical and general observing information continues to be of great interest and value.